Chemical engineering is the branch of engineering that deals with the application of physical science (e.g. chemistry and physics), and life sciences (e.g. biology, microbiology and biochemistry) with mathematics.It is concerned with the design, construction, and operation of machines and plants that perform chemical reactions to solve practical problems or make useful products. What it is, chemical engineering basically is applied chemistry. Chemical engineers devise ways to make products from raw materials and ways to convert one material into another useful form. In addition to producing useful materials, modern chemical engineering is also concerned with pioneering valuable new materials and techniques – such as nanotechnology, fuel cells and biomedical engineering. Curtin University, Sarawak Malaysia (Curtin Sarawak) clinched an IChemE Award for Innovation and Excellence at the second Institution of Chemical Engineers (IChemE) Malaysia Awards for Innovation and Excellence 2014 ceremony held at the Grand Millennium Hotel, Kuala Lumpur recently. Mesfin (right) accepting the award from Sazali Hamzah, Chief Executive Officer of Petronas Chemicals Group. Where do Chemical Engineers Work in Malaysia? design, and pharmaceuticals. They are largely involves the design, improvement and maintenance of processes involving chemical or biological transformations for large-scale manufacture. A chemical engineer often works in a very specialized field. Some examples of specialized fields include developing fertilizer, developing pesticides, developing cleaners, and making plastics or metals. Some chemical engineers make designs and invent new processes. Some construct instruments and facilities. Others plan and operate facilities. Chemical engineers can make processes more cost effective or more environmentally friendly or more efficient. Chemical engineers can get quite high salaries. Probably the best place for a chemical engineering career right now is in the pharmaceutical industry. Drug companies are doing very well and working very hard to produce new drugs. Chemical engineers are needed to research, test, and formulate these drugs. Chemical Engineers can also work in the oil & gas industry or petroleum which pays very high. 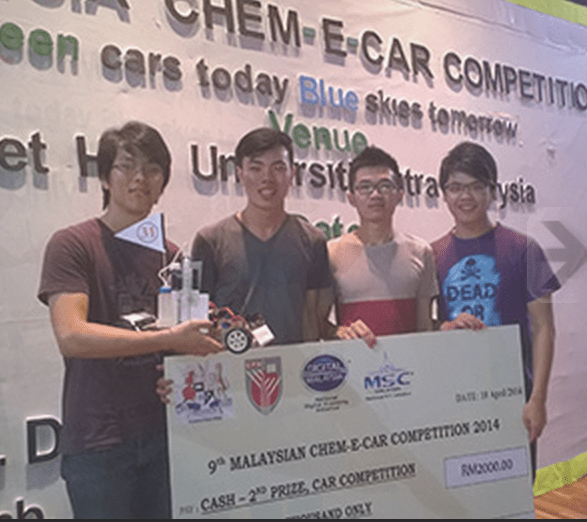 What you study in a Chemical Engineering Course in Malaysia? engineering course in Malaysia needs to learn a wide range of scientific and engineering subjects such as physics, math, mechanical engineering, and electrical engineering. In fact, a prerequisite for a course in chemical engineering is a solid result for mathematics and science subjects such as chemistry, mathematics and physics. new and do not have the accreditation from the Board of Engineers Malaysia (BEM). Students should choose the best university to study so that they can gain the necessary skills to succeed in the competitive work environment. The chemical engineering degrees at the top universities should be accredited by MQA and also the Board of Engineers Malaysia (BEM). Other than the academic quality of the universities, students must seriously consider the student environment. Research has shown that employers have rejected 56% of job interviewees because of the lack of skill in the English language. universities in the UK for engineering. Heriot-Watt University’s Ranking in the Times/Sunday Times Good University Guide 2014 is in the Top 10 in the UK for Chemical Engineering, and Top in Scotland for Chemical Engineering. In accordance with Heriot-Watt University Malaysia’s normal practice, their professionally orientated programmes are designed to meet the educational requirements for membership of relevant professional institutions. In addition to accreditation within Malaysia, the university seeks accreditation by the relevant UK or international professional bodies in accordance with their standard procedures. 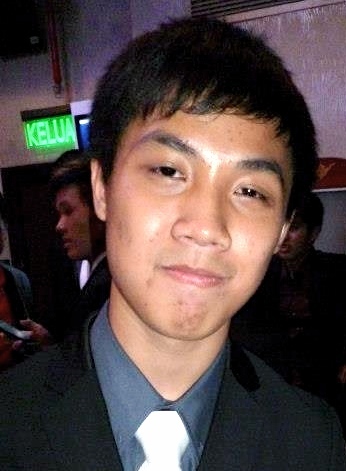 BEng graduates from Heriot-Watt University Malaysia, with work experience and additional matching sections (higher level academic study), are eligible for accreditation by the Institution of Chemical Engineers in the UK. The Chemical Engineering BEng (Hons) at Heriot-Watt University Malaysia programme has been approved by Malaysian Qualifications Agency (MQA) and the Ministry of Education (MOE). For registration by Board of Engineers Malaysia (BEM) a four-year undergraduate MEng programme is required. In addition, relevant work experience is required for accreditation by the Institution of Chemical Engineers in the UK. UCSI University is famous for engineering courses and has offered them for the past 20 years. The 4-year Chemical Engineering degree programme offered at UCSI University is designed to equip students with fundamental engineering and scientific knowledge in the field of chemical engineering. The Chemical Engineering programme focuses on core technical operations in the chemical sector such as material handling, fluid flows, material and energy balances, mass and heat transfers, thermodynamics, chemical reaction designs, separation processes, environmental engineering and petroleum refining processes, to name a few. Apart from being solidly grounded in technical applications, the students are also furnished with management skills during the course of their study, in line with current demands of the industry. In this programme, students are also required to undergo industrial training under UCSI University’s Co-operative Placement (Co-op) Programme at the end of their 2nd and 3rd academic years. The objective of the Co-op programme is to provide an avenue for students to gain exposure to professional practices in an actual working environment in addition to developing the necessary soft skills pertinent to their individual development. Student learning is also enhanced by industry visits, talks by prominent guest speakers from professional bodies, laboratory works as well as plant design projects, among other hands-on activities. UCSI University is ranked SETARA Tier 5 (Excellent) Rating 2013 by MQA making it one of the best private universities in Malaysia. Since its founding in 1986, UCSI is home to more than 10,000 students from over 80 countries worldwide. Students have access to top notch academic and sports facilities at UCSI University. It is also strategically located near banks, restaurants, eateries, housing areas, and the Bandar Tasik Selatan LRT & Train station.